Sorry there is not much this week, but I was away in blighty, just got back Monday night. 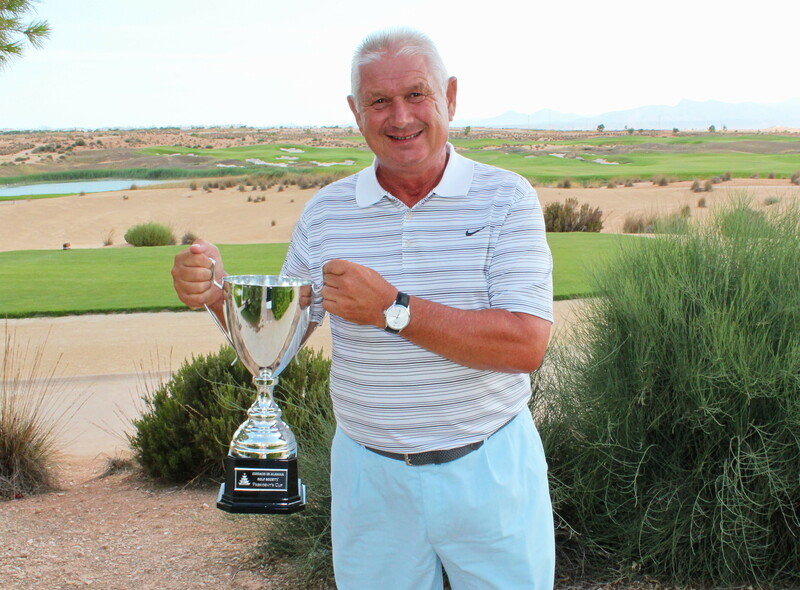 All I have is the results, but well done to Jeff Lightle on his great 39 points, which won the trophy. Hard luck to Chris who was so close off his low handicap. I think it backs up my point that practice does not make perfect – Les didn’t play last week, and Neil was at death’s door with no chance of playing (maybe another new set up to compensate for even more restrictions?) – and still they won their divisions! Looks like the entry was low with not enough ladies for their own prize? Next week normal service will be resumed, Captain Dave and fashion guru Kim will be back and also this year’s major winners Ken & Alicia are also here to ramp up the competition. Again, a warm day with very little wind to test the 10 teams (39 players). The winners were well clear, but there was a log-jam for 2nd place, with the team in 5th place only 0.3 behind the runners-up. The competition was sponsored by Eden Health & Beauty who can be found in the Al Kasar square. As well as donating the trophy, momentos and several randomly drawn prizes, Heather was also on duty behind the 9th green with a variety of cold drinks for all the players. Close, but not close enough………………. and here is Adrian chipping onto the 16th green………. Kev Smith chipping for an unlikely birdie……. another example how we had to chip and putt all day…… here Mark Hudson tries to hit the green……..
the beauty salon can be found in the Al Kasar …..call 0034 620072536……..
Next week is the Dublin Crystal individual stableford, and although I will not be here I will post the results and any photos as normal. Winner, President’s Day……that sounds good! We had 72 players entered our 6th major of the year, the President’s Cup. Unfortunately 7 of those did not play, which was not as critical in a singles stableford but would devastate a team competition. There were players at the Clover on Wednesday night asking for a start time but none were available, so they were denied a game due to the inconsideration of the above missing golfers. Also some players did enter, but dad not show proof of handicap or even paid membership before Friday. This is not good for our willing volunteers who act as starters, and should just have to collect the 2€ entry fee and hand out the cards. We cannot accept memberships and start to look up handicaps in the bar after play, when there is so much happening collating the scores. So from next week, 8pm Wednesday in the Clover will be the cut-off time for membership applications and entries with the appropriate verification. The start sheet will be laminated so no names can be added and the shop staff informed accordingly. Anyone not on the start sheet will not be able to turn up on Friday morning and play on society times at society prices. Sorry if I mention myself a little this week, but is unavoidable as I was the winner of Dave Rollett’s Presidents prize on Friday! They say every dog has its day, and Friday was undoubtable mine. With no aspirations on the first tee, I was quite happy with 5 points after 3 holes, but when I rolled in an 75 foot putt from the hollow to the left of the green on hole 4 (to the impossible back right pin position!) for another 5 points, I thought ‘maybe it is my turn’. With 22 points at the turn it was a matter of holding on for a good score, but I thought 41 points would not be enough, especially as we played in unusually calm conditions. I was very proud to win my second major event (also the anniversary trophy with Robin Wilson in 2012), but with no one to help me on this occasion it was extra special. With my 70th birthday looming next year I thought my chances of claiming another major prize had passed me by. I think the secret is never practice, except maybe a couple of swings on the first tee, and just play on Fridays! Thanks to Barbara Rollett for acting as starter for 3 hours, and also to Neil, who although unfit to play, keyed in all the scores into the computer to create the leader board. Also to Alicia and Kim, who although not present, did all the organising for the evening party. Before the golf I took time out to go to the range to see who the likely contenders were. Perhaps my earlier comments about practising pre-round don’t apply to everyone – Peter Reeves and Robin Wilson featured in the prizes! maybe the 2 young guys in front of me should have practised – never seen anyone in this patch of rough behind the 3rd green before!………..
Robin Wilson has an amazingly good set up if he was about to launch this iron over the clubhouse…..but he is actually playing left-handed and smashing it towards penthouse one……..
Jay Clifford with a great setup……………. Jay’s son Billy is an even better player and only just come out of our junior ranks at age 18……..
Peter was in shock when he got a prize………. nearest the pin on 17 was Simon Hobday…. The prize presentation took place at Camposol golf club, with JJ and Gemma Bennett from Soul Train providing the entertainment. a barbeque on the terrace…………..
Next week is the fun day, which will take the form of a 4 person texas scramble. This will be sponsored for the 2nd year by Eden Health & Beauty, who are located in the Al Kasar square. The next major competition is Ladies Day on September 11th, and this year it will be sponsored by Condado Laundry services. this week’s winner Jim with number one fan Martina…………..
59 players in the August edition of the Apollo Air sponsored stableford, and another hot and sticky day. We even had a few spots of rain (a very few) at the start of play, but the skies cleared and the sun beat down. Neil Simpson hobbled to the clubhouse after slipping on a wet floor, and it looks like he will be out of action for some time (not having much luck lately). Jim Alwell struck a blow for the senior generation with a fantastic score of 43 points, with Ben Birkby only a point behind after posting a gross score of 74. I haven’t played for 2 weeks, so it came as a surprise to see the improvement in the greens, which were not good recently, so let’s hope that this continues. Dave said ‘ I want my mummy’……well, here you are………. Ben had a great round of 74………..
Kevin Smith with his new custom fitted clubs……. Tim Beisiegel must have played the shot of the day from under this bush on 16………..after realising that a penalty drop was not a good option, he conjured up a ‘Mickleson’ type rescue, somehow clearing the bunker 20 yards in front of him and landing in the centre of the green some 50 yards away. 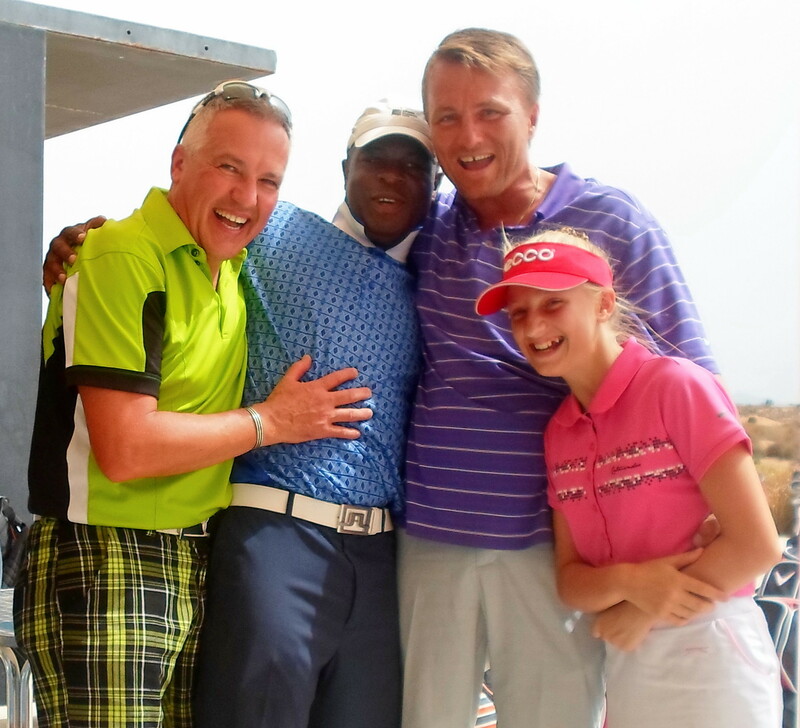 some happy players after the golf…….Tim, Des, Gert and Megan………..
Next week is president’s day, with the evening party at Camposol golf club. Book your place with Dave Rollett on Wednesday night in the Clover. Tickets for the barbeque are 10 euros, and the bus is 5 euros. Can you see Casper & Beetlejuice in the background? They don’t like publicity.
. This week we had 65 players in a team event, with 2 counting at the par 3’s, 3 at the par 4’s and all 4 on the par 5’s. When there is always a chance that a team will not be complete (for different reasons) we supply a selection of ghost cards to make up the team. This worked well this week with 2 of the 3 prizes going to a team with ghosts. 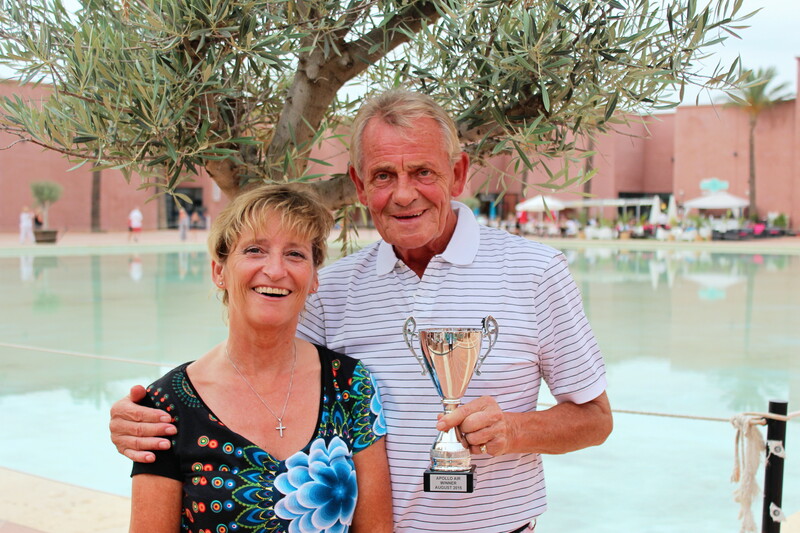 1st place was shared by Casper (the friendly ghost) and Beetlejuice with Jan H Olsen and wife Gro completed the team. In 3rd place were Harvey Whiteman, Tony Black, Paul Varney and Jacob Marley (xmas carol?). In future to avoid a 4 man team of ghosts winning, the ghostbusters have set a rule that 3 of the team must be alive. Actually, Neil cost himself 1st prize. We had 8 ghost cards, and Jan picked out the 2 top scores (which included Neil!). Another reminder that it is President’s day on August 14th. Buy your tickets for the presentation night from Dave Rollett who will be in the Clover 7 – 8 Wednesdays and 6 – 7 on Fridays. 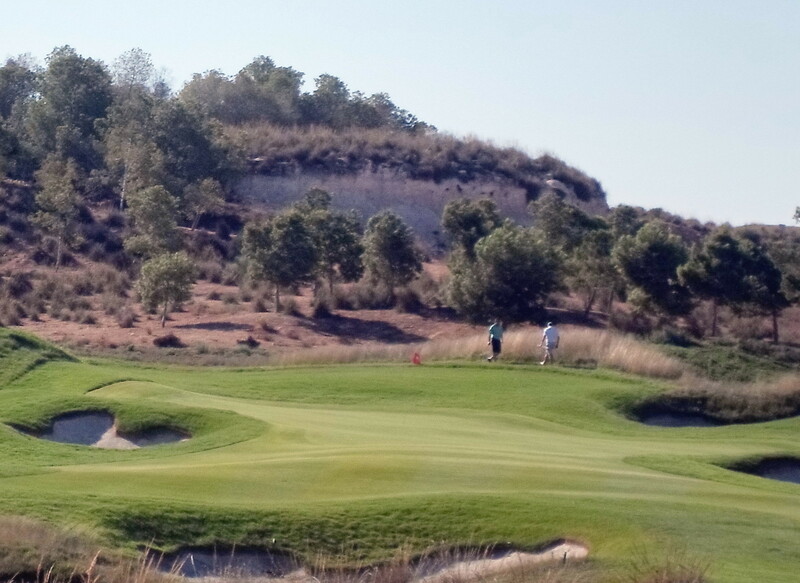 It will be a barbeque at Camposol golf club (10€) and optional coach transport at 5€. The entertainment will be JJ and Gemma Bennett who are a part of Soul Train. We have to make certain that all players selected are actually going to be here for October 20th, so please email me at barry@cdagolf.com if you will DEFINITELY be there. As both UK & Ireland and Scandinavia have reserves who are desperate to play, we are considering an extra day’s play on the day before which will count towards the team’s points, so everyone feels involved (limited to both teams having same numbers!). Those not playing on either day can go out on to the course to support their team! We will have to stipulate a deadline so we can make sure we have a full complement of 46 players, so reply by September 6th. Then, if we have full complement plus reserves we can consider adding players to the competition on the previous day (Monday October 19th). Jan and Kristin leave us next week to return to Norway after spending 12 months at Condado. It has certainly been good for their golf, having both won many competitions and reduced their handicaps significantly………see you at the Viking Cup! looks like they had a great birthday party and leaving celebration!…………….